If you want to join with new iOS experience? Then be expect Apple’s next generation major mobile operating system iOS 9 coming soon. I think it will be the amazing experience for all Apple users. iOS 9 cydia download is the next question all of yours. Hopefully after Apple confirm iOS 9 officially anybody will launch iOS 9 jailbreak and it will brings ton of cydia tweak for all their fellows. Here are some iOS 9 jailbreak cydia tweaks that we are expecting on iOS 9 cydia download. This is the most want cydia tweak to customize the control center of your iPhone or iPod. Control center customization cydia tweaks allow you to do settings a custom background, remove the separators, hide icons or sections and many more list of customize. I think in future we can take control center customization cydia tweaks via iOS 9 jailbreak. Now we splash few best iOS 8 control center cydia tweaks for you. CC Desepatator – CC Desepatator will allows to remove the separator lines on your device control center. CCBackground – CCBackground is the top cydia tweaks. It will support to make your idevice center colorful with your favorite custom background. 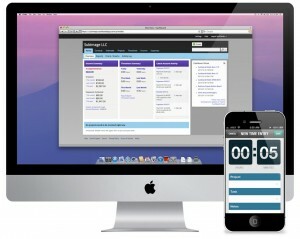 Users can customize the background with your camera photos, images, styles, colors and etc. CCSlider – Via CCSlider you can customize the brightness slider with some options like flashlight brightness, ringer volume. This also we are expecting cydia tweak in iOS 9, but we are not sure that this is not a thing in iOS 9 yet. Users can swipe all notification and take some actions on those notifications but can’t do it simply. Additionally users can dismiss notifications after tap twice on notifications, but it is most oppressive. We expect one click for it. With NCSingle TapClear tweak you can do it easily. 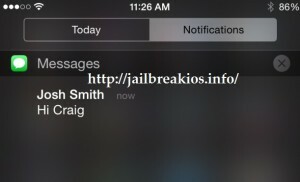 UnlockID is the jailbreak tweaks that is been taking by Storm jailbreak community and the tweak will allows to unlock your Mac with your iPhone. The feature is like a security feature. Users can use Touch ID on iPhone to unlock their Mac. Sometimes ringer volume turned down to low and we forget to turn it back up before go to bed and list of alarm problems decided to fix by apple. 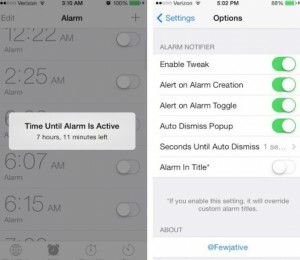 Now we splash new cydia tweaks for adjust alarm options. Safe Alarm – The feature will allows to adjust volume for the alarm and ringer independently.